Informational Meeting on December 4, 2018 in the Saline High School HUB, 7:00pm-8:00pm. Training on the indoor rowing machine can be a great way to get in shape or maintain fitness during the winter months. 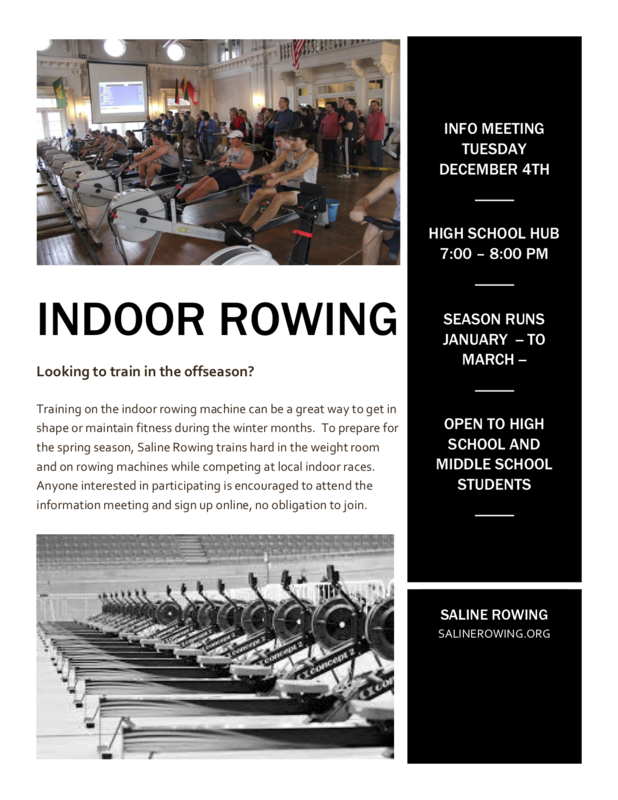 To prepare for the spring season, Saline Rowing trains hard in the weight room and on rowing machines while competing at local indoor races. Anyone interested in participating is encouraged to attend the information meeting and sign up online, no obligation to join.